The power of digital marketing comes from the fact that we can study our consumers closely and from the data, we can uncover what they like, what they don't like and how to improve our services. We do this through various tracking solutions, and this is why having accurate tracking on your website is essential. A slight mishap in set up or understanding of specific metrics can have you focusing on tasks that do not benefit your website or worse and actually end up being counterproductive. From my years as a digital data analyst, one of the most significant pain points comes from tracking interaction hits. Since this is not a default feature in Google analytics, every site would implement it and attribute different tasks to each hit type, and data analysts may prefer one method to the other. Selecting your method or a combination of the two is crucial as it sets a baseline for how you view specific user interactions and how you plan to track them. Event tracking is used to capture custom user interactions and pass them on to GA. Event tracking in Google Analytics and using it for everything from lead from,s downloads to video plays. Events can be set up on your site via jQuery or Google Tag Manager. By default, events affect the bounce rate. That means if a user lands on a page and an event is triggered, they are not a bounce (even if they don’t view any subsequent pages). However, you have control over whether those events should affect bounce rate and this is where interaction vs non-interaction hits come into play. 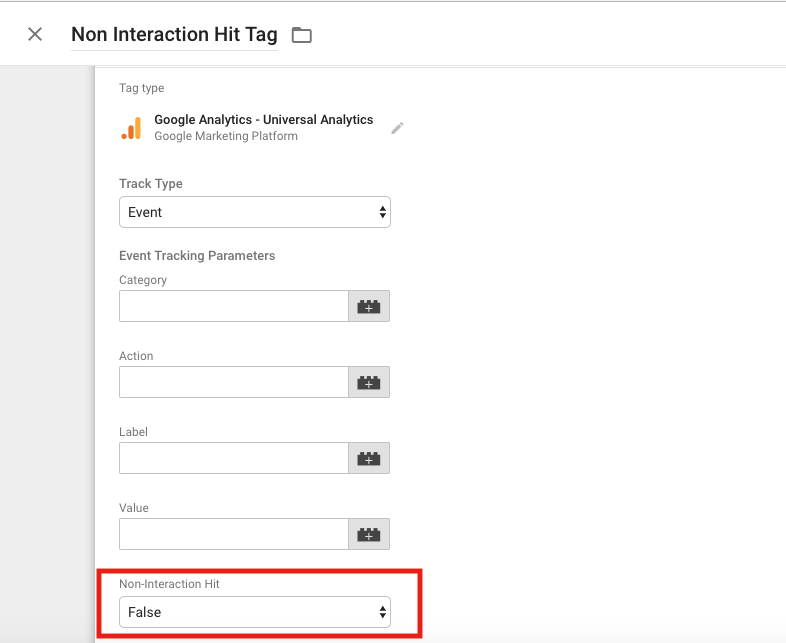 An interaction hit applies to an event hit and sends a signal to Google analytics that this user function should be registered as a milestone equal to that of a page view. An interaction hit is a user action of importance and thus has a direct effect on the bounce rate. The term "Non-interaction" applies to the final, and optional, a boolean parameter that can be passed along the method that sends the Event hit. This parameter allows you to determine how you want bounce rate defined or rather affected for interactions on pages that include event tracking. For example, suppose you have a home page with a video embedded in it. If the video is part of your first step of sale then perhaps it should be an interaction hit. In most cases it an embedded video is for informational purposes and may not need to be counted as an interaction as you could review time on site as the important metric of having an embedded video. Choosing an interaction, or non-interaction event is pretty easy within the tag manager. All you would need to do is create your Analytics Tag, Select Event as the track type and in the non-interaction field specific what you want. Note: This is my personal opinion and not a definitive rule for using these methods. You may feel differently and that's perfectly fine as long as you document your choices so that everyone who users your analytics is aware of your decision. I hope this clears up any confusion regarding the two methods and now that you're familiar with how interactions are captured within Google analytics you can go ahead and customise the ideal tracking solution for your website.